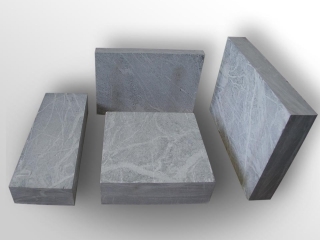 Soapstone tiles are widely used in the construction of saunas and living quarters. They are applied for the installation of walls, shields, heated floors, stove benches, stone hot water bags ( - грелка, можно сказать «warmer»), shelves and as independent thermal storage and decorative elements of architecture and design. 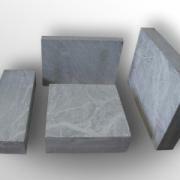 Nature itself has created soapstone as if especially for space planning usage. It creates a comfortable environment and it is characterized by increased heat capacity and sound insulating properties.